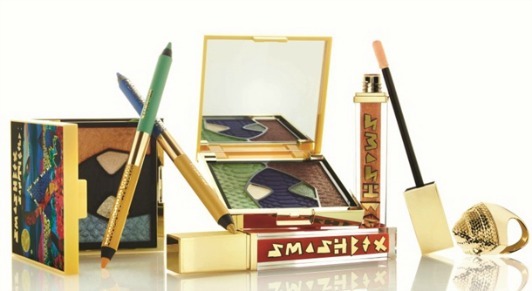 Smashbox partners with renowned collage artist, Santigold who has created a vividly colourful limited edition collection inspired by her strong creative sense - The Santigolden Age! 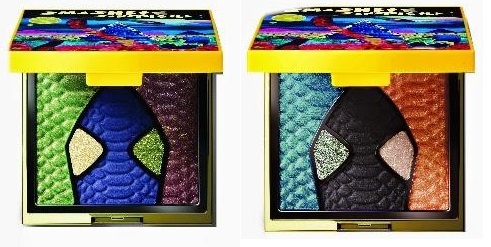 Eye Shadow Collage - $42 - features Santigold's distinctive collage art with 5 shades of luxe wet/dry shadows to mix and match in Earth As We Know It - kelly green, soft sparkling cream, dark matte blue, dark sparkly forest green and raisin with rosegold pearl and Apocalypse Now - shimmery teal, sparkling pewter, matte black, shimmery oyster and bright orange yellow. 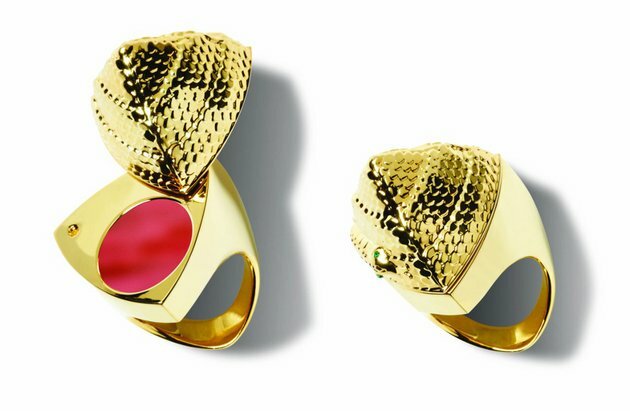 Be Legendary Lipstick Ring - $56 - a collectible snake-pyramid ring that is adorned with Swarovski crystals and contains a limited edition shade of lipstick - Still Kickin' - soft golden coral. 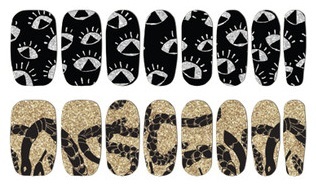 Nail Polish Art Strips - $24 - for the coolest of fingertips - personally, I'm digging the eyeballs! Available now at Shoppers Drug Mart, Pharmaprix, Murale, Sephora and smashbox.com.